This range of pumps is made of high graded stainless steel, brass and other steel alloys and is developed according to the international quality standards. 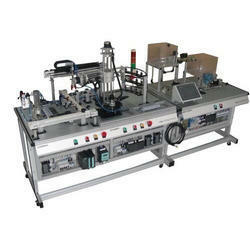 With several models, flow capacities and types these are offered at cost competitive price. These are well appreciated due to their high tensile strength, durable life and efficiency. We have expertise in offering a broad range of vane hydraulic pumps which is made of top quality stainless steel materials. With both flange and threaded types these are offered in several models and available in various flow capacities. Further, these pumps can work under different pressure with optimum performance. We are engaged in offering a premium range of hydraulics hand operated pumps which is made of top quality raw materials and are used for oil & water. 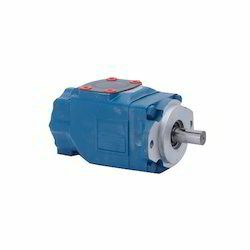 With a variety of capacity these pumps can work in extreme pressure and temperature. These are well appreciated for their high tensile strength, durable life and corrosion resistance. We have an offer of an exclusive range of hydraulic training kits which is fabricated form high graded raw materials and derived in accordance with international quality standards. These are offered in various types and are utilized in electrical & mechanical engineering works. Panel Board: Electrical system on off switch Hydrometer, Hand lever dc valve, hydraulic cylinder, Flow control valve, Electrical operated D.C. Valve, Pressure gauge, Pressure relief valve, Oil level gauge, Manifold pipes with fittings and accessories. 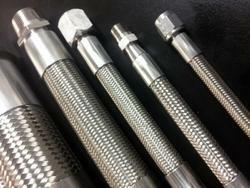 We offer high quality Stainless Steel Hoses for diverse industrial & commercial usage. These are available in different specifications to meet client’s needs. Our products are quality tested and delivered timely. We ensure to maintain competent pricing of all products offered. This range of oil & diesel loading and unloading transforming pumps is made of superior quality raw materials and processed under advanced technologies. These are offered in different specifications and can be used in electrical, mechanical and hydraulic operations. Hose: Rubber Hose 2mtrs long time fittings for suction and delivery. 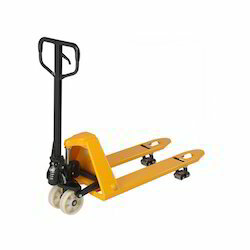 We are involved in presenting hydraulic pallet trucks which is designed with built in overload value and is enabled with high quality seal kit to provide complete sealing. Further, these are also offered with heavy duty and reinforced forks which provide greater strength and durability. 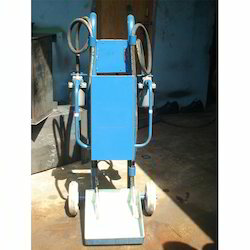 We offer these equipment at most affordable price. Designed with built in overload valve. Totally sealed hydraulic pump. 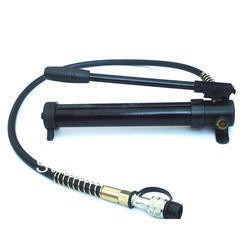 High quality seal kit offer pump life. Self lubricating bearing at key points offers less operating force. Heavy duty and reinforced forks for greater strength and durability. Hydraulic ram with solid rod, hard chrome plated.